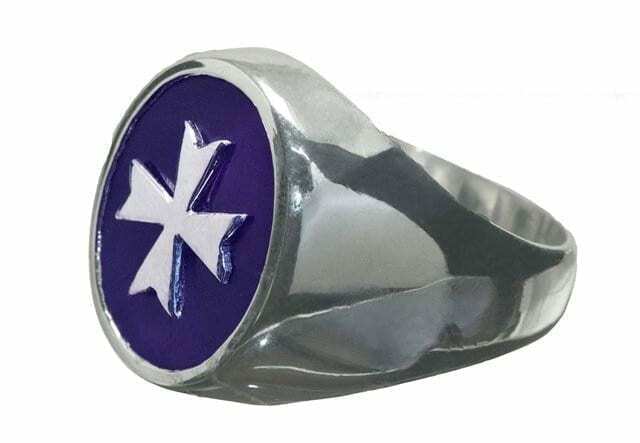 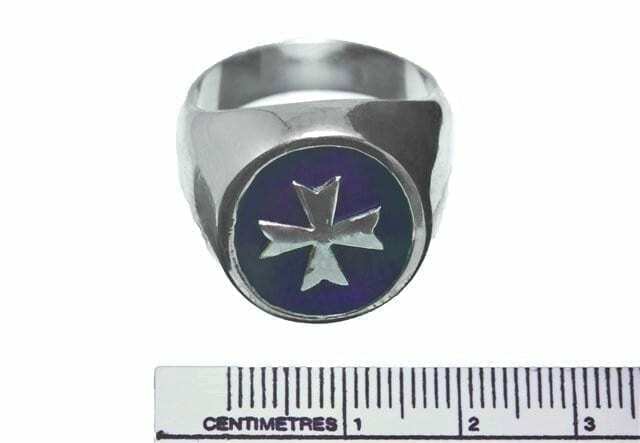 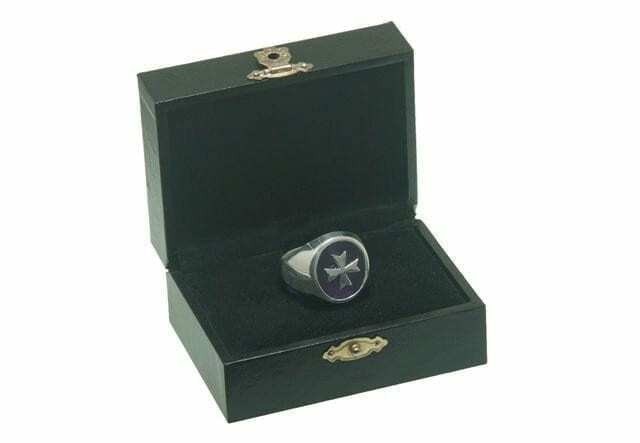 A sterling silver Maltese cross laid over high quality synthetic amethyst ring is the starting point for this spectacular man’s ring. 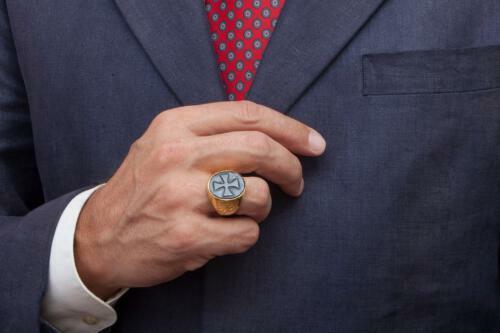 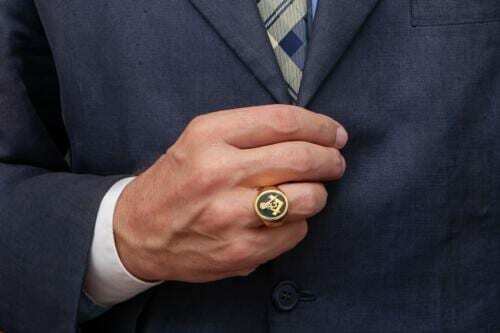 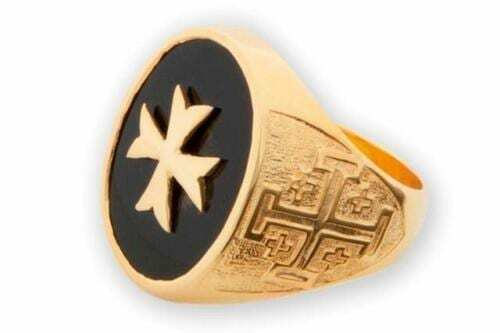 This fine hand-crafted medium sized Regnas ring is suitable for ladies as well as men who enjoy our love of heraldic jewellery. 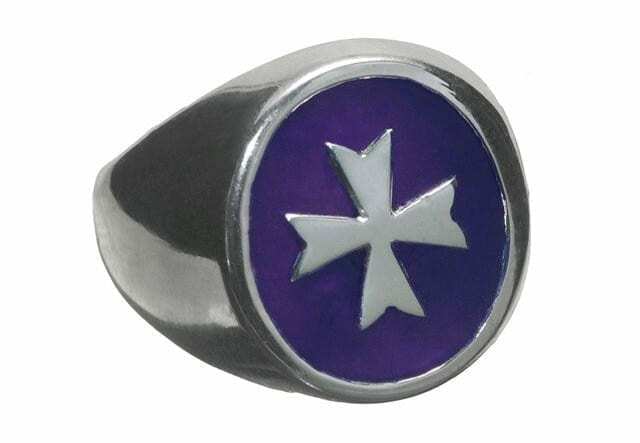 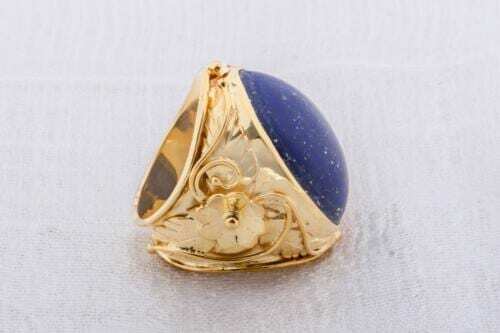 The oval face of amethyst is 18 x 16 mm (23/32 x 5/8 inch).